At A Clean Sweep Cleaning Service we’re in the business of keeping your home the cleanest it’s ever been. With competitive rates, as well as dedicated and trustworthy staff, this has been easy for us to accomplish! As a cleaning company, it is our pleasure to be able to offer our clients a full range of cleaning services that can cover the smallest, to the largest of jobs. The A Clean Sweep Cleaning Service team will get it done right the first time, every time, and with a smile on our faces as well! Moving is hard enough without having to clean up your old home and your new one. Call A Clean Sweep Cleaning Service and we’ll handle one, or even both if you like! At A Clean Sweep Cleaning Service we practice transparency and honesty at all times. After all, trust is important when you’re allowing strangers into your home! 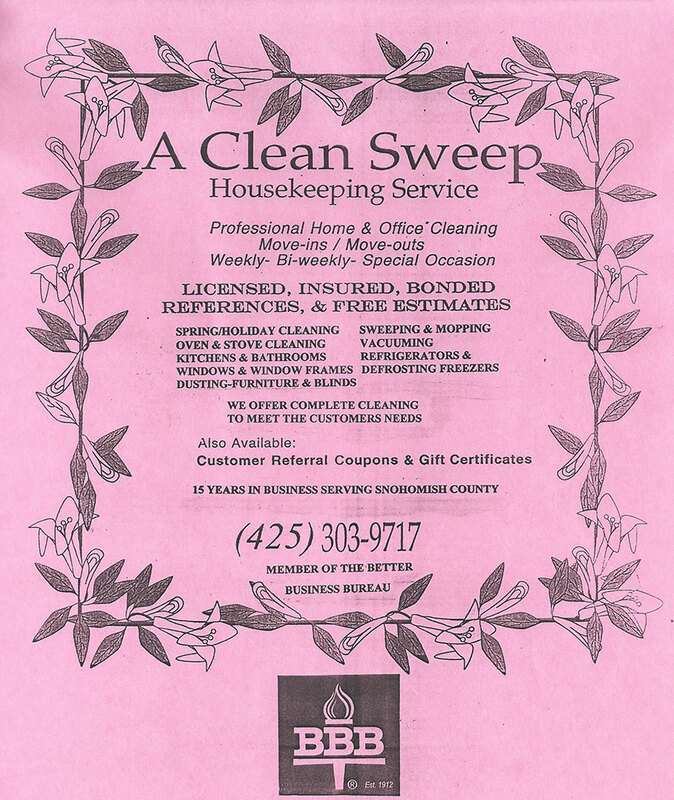 At A Clean Sweep Cleaning Service, all of our team members have gone through extensive training and are licensed, insured, and bonded for your peace of mind as well as ours!